Drive Instant Site Traffic & Conversion – We create engaging social media advertisements that get RESULTS! 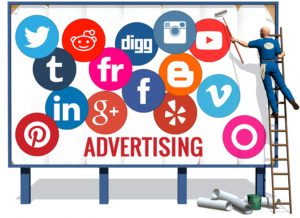 Social media advertising has become one of the fastest ways to generate results using social media. By direct targeting, we connect your business to thousands of potential clients who may be in need of your services. The benefits to social media advertising include: increased traffic to your website, lead generation and conversion. Our social media advertising solutions drive sales and build brand awareness. Our award winning team of designers and social media ad specialists design high quality visual advertisements that capture the attention of the target audience. From ad copy to using the most effective colors and images, we utilize the industry’s best practices. Our social advertising strategies generate low cost customer acquisition, an increase of clicks and conversion for our clients.